Belle Mariee Weddings made my day perfect! They were so patient and professional. My sister will be using them next fall! Very well organized and detail oriented. Saw to my every need. Great experience! 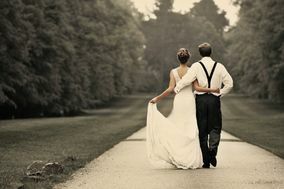 I can't begin to express my satisfaction of Belle Mariée Weddings, they lived up to every expectation and beyond. When I initially became engaged, I thought in great detail about how I wanted my perfect day to be. By using Belle Mariée Weddings, my vision of the Perfect Wedding became a reality. As there wasn't much time between my actual engagement and wedding, planning my big day actually became enjoyable as I didn't have to worry about every little detail Belle Mariée Weddings did that for me. Jeannine was well prepared, highly organized, and extremely knowledgeable about the different vendors in the area. I wasn't left to feel like a "client", it was as if they were planning the perfect day for themselves. 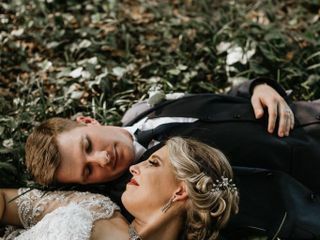 I never felt rushed or uncomfortable, they are extremely responsive to emails and phone calls, and the day of the wedding went so smoothly and effortlessly. I highly recommend Jeannine & Belle Mariée Weddings, not just for their professional services but also for their personal touches and the warmth they bring to wedding planning.